Join us in the Love Revolution at Sziget, one of the largest music and cultural festivals in Europe which takes place on a leafy island on the Danube in Budapest, Hungary. 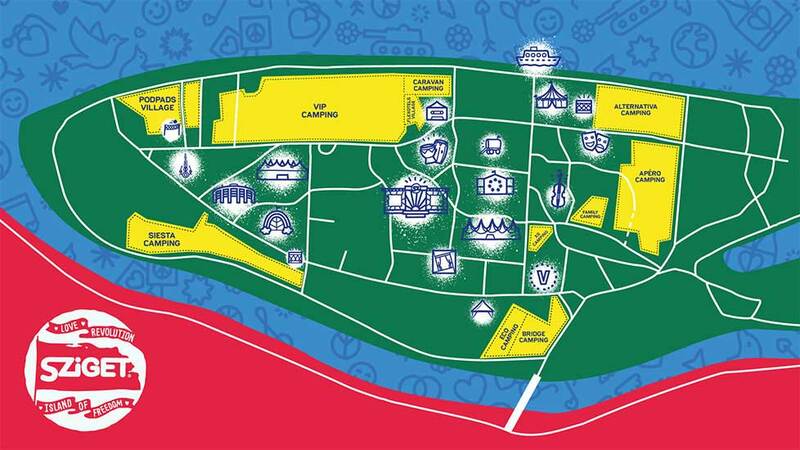 The Podpads Village will be located on the island within the festival site . We will be open from Sunday 4th August at 6pm until Wednesday 14th August at 8am, allowing you to stay for a maximum of 10 nights. (Guests must check out on Wednesday). Payment Plan available - Pay 50% today and pay the remainder in monthly instalments!